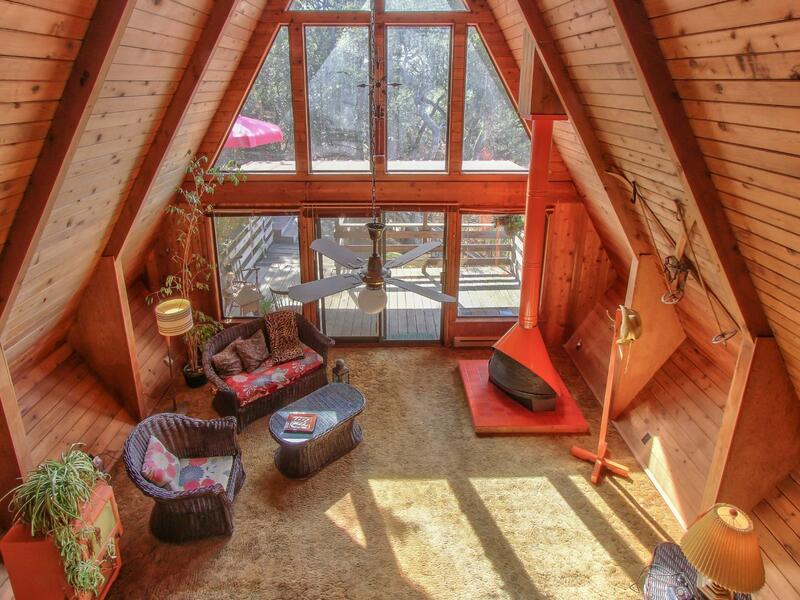 The word "peaceful" is the best term to describe this charming all-electric, two storey A-Frame home sitting on an oak-studded half acre with beautiful west-facing valley views. The master bedroom loft area overlooks the vaulted living room with it's iconic Preway free-standing enamel fireplace taking center stage. Spectacular views from the master level balcony. Two levels of exterior decking provide outdoor space for relaxing and entertaining surrounded by nature. Access the Monterey and San Francisco bay areas via hwys 101 and coastal hwy 1; an easy 15 minutes to Moss Landing on the coast. Enjoy everything Monterey and Santa Cruz counties have to offer including our temperate weather away from the coastal fog and the valley heat. Wake up everyday to serene country living without the drive!